Peter Hogan was born in the New England district of New South Wales, probably in the 1840s. He later travelled to the Darling Downs in Queensland where he was baptized. After returning to New South Wales he worked as a tracker for the police from 1864 to 1866 and was involved in the pursuit of Ben Hall’s gang of bush rangers. In March 1865, word was received that Hall and his gang, after robbing a store in Forbes, were heading to Canowindra. Peter Hogan, in company with Senior Constable John Herbert, Constables James Cook and Edward Ambrose, headed out from Canowindra on 28 March to intercept the gang. 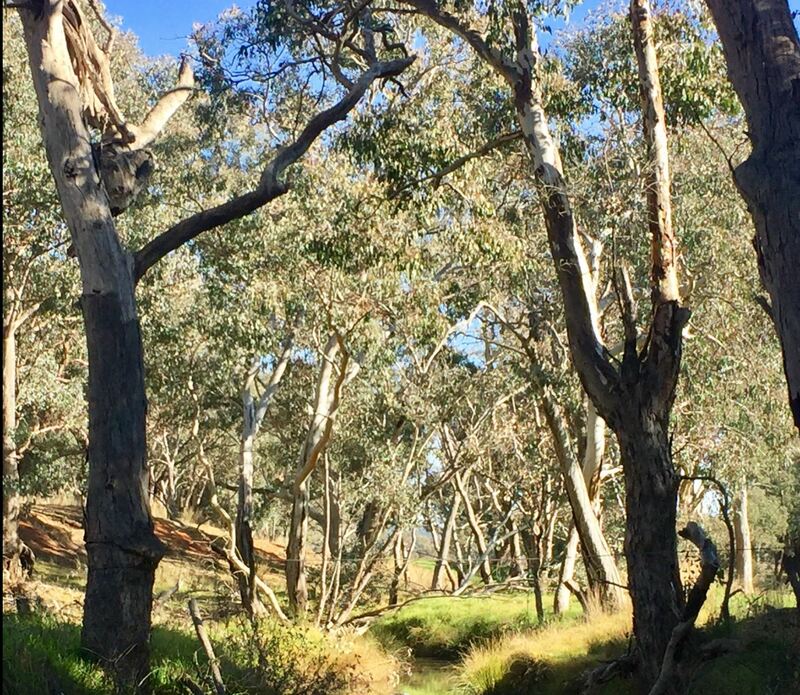 They set up camp near Mogong, a small settlement 15km north-west of Canowindra on the southern slopes of the Nangar Range. Herbert and Ambrose left the camp to keep an eye on a nearby hut where they thought the gang were resting. Hogan and Cook stayed behind to short-hobble the horses so they could not wander fire. Herbert and Ambrose agreed to give a warning whistle upon their return, but they became lost and did not realise they were approaching the camp when Cook and Hogan opened fire. Cook had issued a challenge but got no response. Ambrose was mortally wounded and later died. Cook was charged with manslaughter but the jury at Bathurst could not reach a decision. Hogan did not have to face court after the shooting. It is not known what became of Peter Hogan after he left the police the following year.Sydney Morning Herald 23 May 1865: 5; In Memory of Senior Constable John Herbert, 1837–1865 – historic plaque on display in Canowindra; Police Salary Register 1864-1866 SARANSW 3/2989 Reel 1972. 1. ↑ Sydney Morning Herald 23 May 1865: 5; In Memory of Senior Constable John Herbert, 1837–1865 – historic plaque on display in Canowindra; Police Salary Register 1864-1866 SARANSW 3/2989 Reel 1972.